Alliance After School Care is Texas Rising Star Certified! 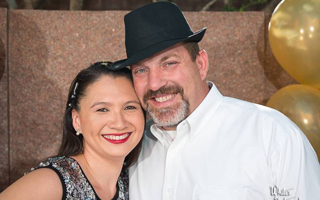 What is Texas Rising Star? 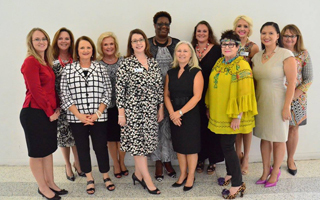 Texas Rising Star is a voluntary, quality-based child care rating system of child care providers participating in the Texas Workforce Commission’s subsidized child care program. According to texasrisingstar.org, “across Texas, parents and families enroll their children into child care programs, including center-based and home-based programs. Numerous research studies have shown that at-risk children who attend higher quality child care programs are more prepared for school entry than children who do not attend quality child care programs. The Alliance is proud to go above and beyond to provide the best quality after school care program possible for the children and families we serve. As a Texas Rising Star certified program, we provide intentional discussions with our children, we interact meaningfully with them, we facilitate outside time, we use a warm and responsive style when interacting with the children, we display their artwork, encourage them to use the quiet zone when they feel they need it, and we always have a parent resource book available. This is in addition to our already fabulous programming that includes a safe, affordable, fun, and enriching environment through healthy snacks, homework time, outdoor play, Leader in Me, organized games, arts and crafts, and positive interaction with our After School Care counselors. Need more information? Give us a call at 677-5321. 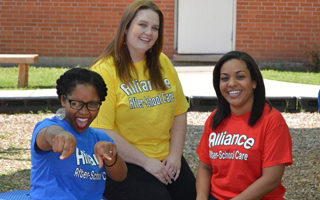 Alliance After School Care is approaching its 30th anniversary! Can you believe it? We are so grateful for the opportunity to provide care for more than 550 children every day on 15 elementary school campuses. We are especially thankful to the school districts that graciously provide their campuses for our children to remain in a safe environment while they learn and grow, so their parents can work to provide for their families. If you see an administrator from Abilene, Clyde, Jim Ned, or TLCA, thank them for their generosity! 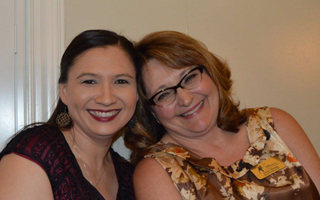 Did you know that Alliance After School Care originated as a project of the Junior League of Abilene in partnership with the Abilene Police Department and the Alliance for Women and Children (which was then the YWCA of Abilene)? In the late 1980’s, more and more families were becoming dual parent income homes. The community was beginning to see an epidemic of “latch key” kids who were going home unsupervised after school. According to America After 3pm, in the last 5 years the number of children participating in after school programs has increased by nearly 2,000,000 children! Even so, approximately 1 in 5 children are still without supervision after school. Email to inquire about potential open positions. Providing a nurturing and safe environment for school-aged children. Recognizing and meeting the needs of women and children as those needs change with societal and economic shifts in our community will assure success in our future service to women and children. A front page editorial appearing in the Taylor County Times, Thursday, January 23, 1919 stated "the loyal, energetic ladies of Abilene… have inaugurated a campaign…. They are asking your help and support. You cannot afford to let pass this opportunity of doing something toward one of the best movements ever launched in the county. These women are out today. 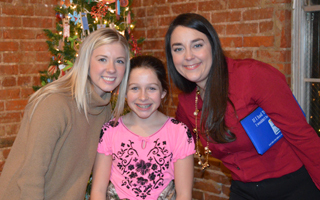 They are working with a will and they will not stop for rest until they have accomplished their aims; until their plans for a first class YWCA for Abilene have been realized. And if you are not in sympathy with their cause, or have not done your part toward the splendid work they are undertaking, it is small matter if they give you no rest until you do your full share. Be ready to meet them with a check for your share and a smile of encouragement that will help them along when they strike the tight fisted ones." Mrs. Dallas (Jewel) Scarborough charged forward in 1919 with a vision for the future of the women and children of Abilene. Her mission: “We need a place for girls to live, a place providing wholesome food for working girls; a character training program for little ones; advice in many matters, wholesome entertainment; help in developing the girlhood of the community; comfort in trouble or distress; training for better citizenship; raising standards of thought and action; training in physical fitness; developing friendships." And, as a result, the YWCA of Abilene was founded in 1920. 1919 – A fundraising campaign was initiated to raise $3,000. 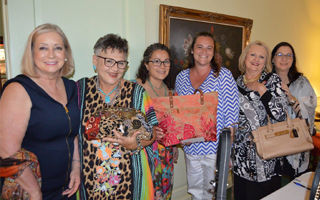 Through various efforts by the women of Abilene the funds were raised. 1920 (September) – Board of Directors and Board of Trustees were selected. 1921 - the lot at 1150 North Third was purchased for $7,500. 1958 - capital campaign began to build and relocate. 2007 – the YWCA of Abilene disaffiliated from the national YWCA to become a local organization, the Alliance for Women & Children. 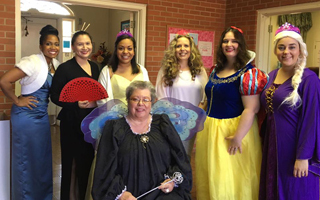 After-School Care – established in 1988 as a joint project with the Junior League of Abilene. The Alliance for Women & Children has a rich history which began with a vision for an organization designed with women and children in mind. Our mission continues to focus on empowering women and children to become self-assured and successful. The membership of the Alliance for Women & Children is a vital part achieving our mission. Members can be girls or women age 12 and older. One joins because they wish to access a program, serve as a leader, support the mission, and/or support the programs of the Alliance. As a voting member, one is responsible to elect the Board of Directors. Our members also are invited to all of our functions and to member only events, including an annual membership meeting at the end of each year. Members are required to pay annual dues and remain in good standing with the treasurer of the Board. Why should you become or continue to be a member? With the hard work the Alliance is doing to serve this community more effectively and more efficiently, we need your support even more than we ever have before. It takes great resources to provide quality programs to our clients in the most affordable manner. Alliance After-School Care costs almost half the tuition of a regular daycare and is equally licensed? On top of the affordability, Alliance After-School Care is offering an educational curriculum program that will positively affect our children’s academic performance, thus helping our school districts meet their academic goals. The dues received from our membership help us achieve our mission through each of these exciting and impactful programs. Want you join us? Click here for the membership form. Volunteers are vital to the success of a non-profit organization and the Alliance is no exception. We rely heavily on our volunteers to help us achieve our mission. There are many ways a person from the community can volunteer at the Alliance for Women & Children. Volunteers are always welcome in our After-School Care program to read to the children, assist with arts & crafts projects, and help with special activities. The program can always use help in the office organizing games and supplies. If you have an area of expertise in which you could offer training to the staff or children, please contact us for that as well. We are always looking for ways to improve the quality of the lives of our staff and children. Background checks are required for all volunteers. Click Here you are interested in volunteering! Marketing, fundraising and public awareness help further the mission of the Alliance for Women & Children by bringing in much needed support to our programming and operations expenses and increasing awareness of the organization in the community. The Alliance also offers unpaid internships for college students interested in non-profit, marketing, business, public relations and other fields. The Alliance for Women & Children needs volunteers to help with daily filing, mailings, phone answering, and other general office work. Whether you are able to help once or on a consistent schedule, we would appreciate the help with the administration of the Alliance. Thanks to our generous donors, we have a beautiful courtyard in the middle of our building enjoyed by all. Those plants need watered and cared for every week. Also, the Alliance has been selected by a national organization to build a community playground. We will need volunteers for build day, November 5th, and then maintenance on the playground on an ongoing basis. Click here if you have an interest in volunteering. Our facility is available for your next event or playgroup. Alliance for Women & Children reserves the right to approve all groups and their activities prior to rental, as well as bill each group for any damages to the Alliance for Women & Children building or it’s contents during rental. Non-Profit Groups may apply to use the facilities for no-charge during normal business hours and at a reduced rate after-hours. Rental Worksheet (DOC) – Must be completed with contract. May also be used to describe event and determine availability. Rental Contract-NP (DOC) – Contract for non-profit organization. A rental worksheet must also be completed. Alliance for Women & Children reserves the right to approve all groups and their activities prior to rental, as well as bill each group for any damages to the Alliance for Women & Children building or it’s contents during rental. Non-Profit Groups may apply to use the facilities for no-charge during normal business hours and at a reduced rate after-hours. A deposit of $100 is required to reserve the space for rental. Deposit will be returned to rental group if building is left clean and undamaged. Rental fee during normal business hours - $75 for first 2 hours and $25 for each hour thereafter. Rental fee for evenings and weekends - $125 for the first 2 hours and $25 for each hour thereafter. Rental fee during normal business hours - $175 for first 2 hours and $75 for each hour thereafter. Rental fee for evenings and weekends - $225 for the first 2 hours and $75 for each hour thereafter. Accommodates 30-40 children at play. Equipment is designed for children over 2 years old. Includes a play structure with slides and climbing apparatuses, a stage, benches, etc. A deposit of $100 is required to reserve the space for rental. A key will be provided to the renter for necessary access. If the key is not returned to the Alliance for Women and Children within 5 business days of the rental date a $25 fee will be assessed and taken from the deposit. The balance of the deposit less the rental fee will be returned to the renter within 5 business days of return of the key. Rental fee during normal business hours, evenings and weekends - $50 for the first two hours allowing an additional 15 minutes before and after scheduled time for set up and clean up and $25 for every two hours thereafter. Accommodates 30-40 children at play, working together. Equipment is designed for children 12 and under. Participating adults must have completed equipment training, including a background check. Rental fee during normal business hours - Free. Rental fee for evenings and weekends - $25 for the first two hours allowing an additional 15 minutes before and after scheduled time for set up and clean up and $25 for every two hours thereafter. Auditorium rental fees will be assessed for indoor Imagination Playground rental. Rental fee during normal business hours does not ensure a private party. 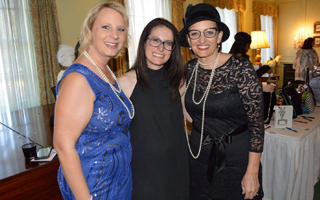 The Alliance for Women & Children has many great events designed to engage, enlighten and just have fun. The events help support our many great programs. Click here to see all the event details. Alliance for Women & Children After-School Care Program serves children from PreK to 5th grade. Click here for more program detail.